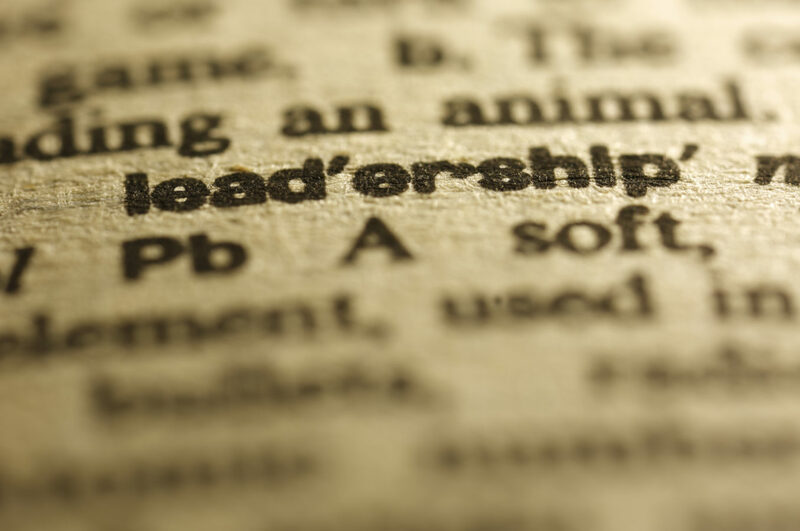 Curious about what leadership actually means? Me too. We all know leadership is critical to maximizing success, but what exactly is it? And if not, what should I do? A common thread that runs through all discussions about leadership is the ability to have a “vision.” For some people, this vision might be a private one, such as getting a promotion, finding a significant other, buying a dream house, or taking an exotic vacation. But, while all of these are legitimate goals, true leadership requires a broader vision that inspires others and motivates them to act on and achieve it. Ultimately, by accomplishing the goals set out for them, a better reality is meant to be achieved for those who follow their leader. It Might Not be as Hard as it Sounds! The ability to develop a vision that both inspires and motivates others to achieve it might seem like a tremendous task. But, in reality, a vision can be pretty simple. For instance, Apple CEO Tim Cook described the company’s purpose in very basic terms in an interview with Fortune.com back in 2009: “We believe that we are on the face of the earth to make great products and that’s not changing.” Simple, yes, but sometimes it’s the simplest ideas that can be the most inspirational. Just think of Martin Luther King’s “I have a dream…” speech, which will likely continue to inspire generations for years to come. Like me, you’ve probably met people in the past with leadership titles who did not have vision, nor did they inspire. But most of them had the management capacity to surround themselves with a team that did. Conversely, I’ve also met plenty of people who lead without the title. By “core values,” she means having aspirations beyond your personal wellbeing, enthusiastically engaging other interested parties, and effectively communicating how their actions can advance the cause. And, yes, you must also have confidence and courage. Much more complex than offering a compelling vision are the management skills required to convert enthusiasm into action. If you have the personality to lead and can create a compelling vision, you’ll likely have good leadership skills too. But beware – leadership can be a risky business! Sure, some people might have the capability to lead, but they might also be reticent about the scrutiny that they’re likely to come under as a leader. Others might find that their own personal vision does not align with the mission and culture of their organization. If this is the case, it’s likely that they won’t last long in the company. Or they might be all for the mission, but then fail to achieve it. In which case, they risk being judged a failure. Are You Really Up to the Task? If the answer to any of these questions is a “no,” then maybe it’s time to think about a different career strategy. Alternatively, you could explore more about what it takes to become a leader by shadowing an existing leader in need of competent management help. Doing this will help you to earn trust and respect, and provide insight into the current leadership landscape. But, be sure that you truly believe in your chosen leader’s vision, because aligning yourself with it will become part of your personal brand. Finally, if you’re ready to work on the skills required to be a leader then, have no fear, you are in exactly the right place. Mind Tools has a whopping 59 articles on Leadership Skills alone! So jump in, be diligent and persevere! Yep, however, often leadership is situational, you have the elements needed in a specific situation but then in another you do not, that is why we often see people who are great at one time look poor in another. Of course, this is simplistic, but in a change situation clear vision and how to get the goals done is all important, but when we are trying to regain stability and build processes this drive may not be the right way for the team or business. Just some thoughts. Thanks for sharing those thoughts. I like what you said about where leaders (and everyone else) might have the skills and abilities to handle one situation and when another comes along that is slightly different, they might struggle. This is where all the learning and growth comes into play! Indeed they do need to be mindful to balance out the drive to achieve goals with ensuring that everyone is on board with the changes as they evolve.